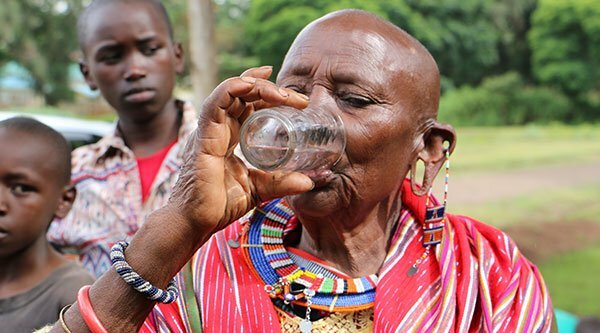 Just One Africa has created a unique opportunity to empower women, by partnering with amazing Maasai mamas to provide sustainable income AND a whole lot of clean water for Kenyan communities. 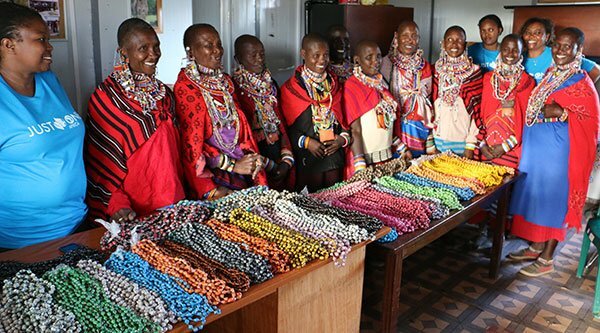 We purchase recycled paper bead necklaces upfront from these women at fair trade prices and then partner with US-based students and volunteers to string them into bracelets. 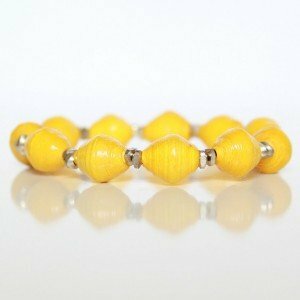 All of the profit from the purchase of these beautiful bracelets are used to fund our Clean Water Program. Pretty simple, don’t you think? It is world changing also, to the tune of 200,000 gallons of clean water per bracelet! With the purchase of one of our recycled paper bracelets, you literally can change the world for someone – it really is that easy! Check them out! 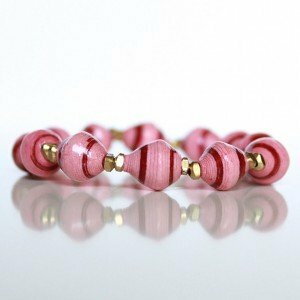 The recycled paper beads are made in Southern Kenya by a talented group of Maasai women artisans. For many of the women making these beads, this is their sole means of income. 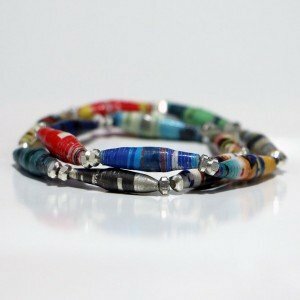 These beads are made from recycled magazine paper that the Maasai women cut into a variety of widths creating small, medium, and large beads. Some of the beads are left just as they are making them a limited edition color, while others are dipped into food grade dye creating a rainbow of gorgeous colors which are perfect for stacking into beautiful combinations! We have found that by working directly with the women of the community an immediate impact is felt on the children with greater food security, funds for medical care, and school fees. Since the start of the bracelet project in 2014, we have seen the positive impact on the families in the surrounding communities of Loitoktok and Kimana as transforming from within. It has allowed the women to come together around an income generating project of their choice and to build relationships, share advice, learn about women’s health, and have some basic education provided by our local leaders. As other Maasai women in the community hear about how this program is impacting these families, interest is rapidly growing. 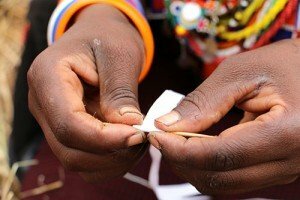 Women who do not know how to make the recycled paper beads can come and be trained by the other women. 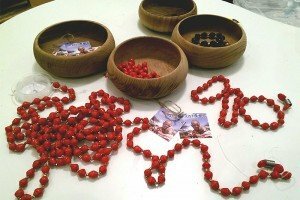 The bead making project is run in Southern Kenya by our dedicated local leader, Dorcus Parit. This has provided opportunities for community building, women’s education, skills training, sustainable income, clean water for all their homes and surrounding villages, and most of all, hope. After the beads are brought back to the US, we work closely with volunteers to create the world changing bracelets. The response to starting ‘I am One’ Clubs in local schools has been overwhelming! 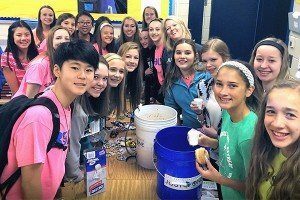 The ‘I am One’ Club gives middle and high school students the chance to “Be the Change” by volunteering to help string the recycled paper beads into bracelets. The students can earn service hours. 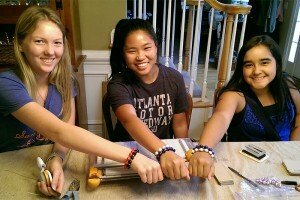 The volunteer efforts are used to create all our bracelets, which are sold in our online store and also at local events. We have worked with Boy Scouts and Girl Scouts, and youth groups. We offer corporate team building as well as home stringing parties. Young people changing the world, JUST ONE bead at a time! Contact us about setting an event. 100% of your purchase funds our clean water programs in Kenya. 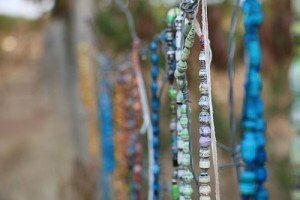 Since all of the recycled paper beads are strung by volunteer labor, we are able to pass 100% of the profit to our Clean Water Program. 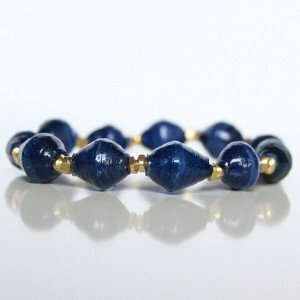 Each bracelet purchased is 1/5 of the cost of the water filter system. Therefore, a JUST ONE bracelet is able to provide 200,000 gallons of clean water; that translates into 5 people for 10 years! 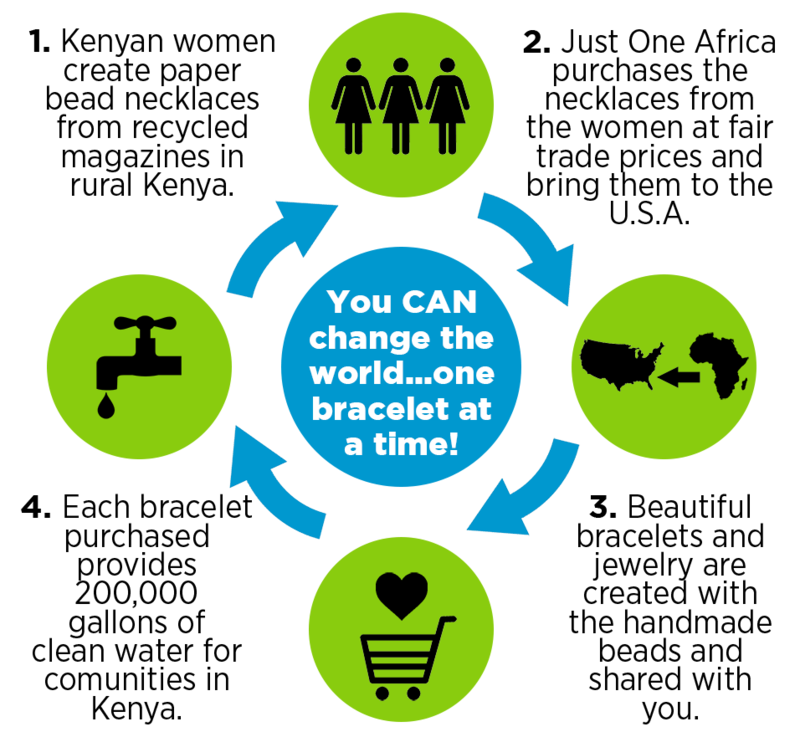 Each water filter provides up to 1,000,000 gallons of CLEAN, SAFE water for 25 people for 10 years! We use all the bracelet funds to purchase water filters and distribute them to communities in Kenya that already have access to water but need an easy way to clean it. We have distributed the filters in orphanages, schools, hospitals and clinics, rescue centers, and communities throughout Southern and Western Kenya. The funds generated by the recycled paper bracelets alone have allowed us to distribute over 1600 water filters since the start of the program in late 2014. This has provided over 40,000 people with clean water for life! Changing the world isn’t so hard after all! Read more about the filters. I was introduced to this amazing charity by 2 former students who loved helping people and wanted to help get clean water to the children that they met on a mission trip. Every aspect of what they do is what I look for in a nonprofit that I want to support and that I feel passionate about. 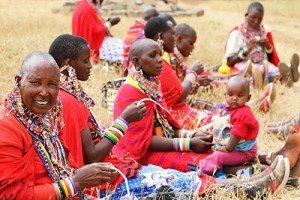 The Kenyan women who make the beads that we string, are providing for the futures of the families. The students that string them, learn compassion for others and how to impact the world in a tangible way. 100% of the profit goes directly to providing clean water, thus preventing disease. Truly profound and transformational for all! Read more about how we are tackling the clean water crisis in Kenya.